Times change, situations change, people change. This is how the world has always been, and this can definitely be said about these turbulent first decades of this 21st century. For this reason, it’s nice to know that there are also things and people that seem to be weathering these changes, and stubbornly remain there as constant and dependable factors. 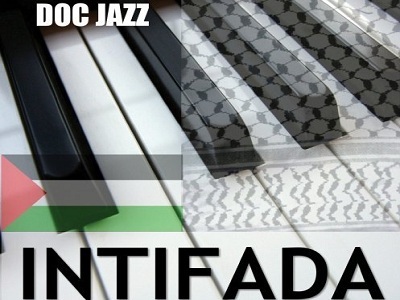 In the limited world of music for the Palestinian cause, the phenomenon known as ‘Doc Jazz‘ can certainly be counted as one of these dependable factors. Almost since the very beginning of internet activism, he has been present and active, which is why to most people who are interested in the Palestinian cause, he would barely be in need of any introduction. He is the Palestinian surgeon who, next to his ongoing career as a surgeon, has been engaging in activism on and off the internet, with his music, his writings, his organizing skills at demonstrations and inspiring speeches, and his unstoppable energy. These aspects of Tariq Shadid have indeed remained unchanged, but be careful not to mistake this constancy for lack of evolution and development. Those who remember him from his first songs for the Palestinian cause and have not checked back since, will probably be unaware how the quality of his musical recordings has been evolving constantly, now resulting in high-fidelity songs of a high quality, and with rich arrangements. His musical repertoire – at least those songs of his that are available online – has now reached 100 songs, most of which deal with almost all aspects of the Palestinian cause. There is barely an aspect of the struggle that is not represented in one of his songs. Best of all is: he does the entire production by himself, writes the songs and the lyrics, plays all the instruments, and does all the vocals. His most recent album is ‘Intifada’, which was released in November 2012, and which features a selection of his most popular Palestine-songs, like Intifada, Right of Return, We Resist (Free Palestine) and Freedom Flotilla, as well as two of his Arabic songs for the cause. In the beginning of this year, he also came out with the song ‘Hungry’, dedicated to the cause of Samer Issawi and the other Palestinian political prisoners who protest against their detention by their unimaginably long hunger strikes. The song was well-received, and was featured on Dubai TV in a special about the Palestinian hunger strikers. He has also recently joined the Free Samer Issawi Campaign, and has contributed to keeping the ongoing Twitter campaigns for that cause alive. Every day, at the same time, so-called ‘Twitterstorms’ are organized, which are joined by hundreds of dedicated tweeters, and rarely fail to get the daily hashtag to trend on the Worldwide list. On his website, all these world trending hashtags are collected, together with information on how to contribute to trending on Twitter effectively. Another aspect that underlines the continuous evolution and expansion of his musical and activist project, the ‘Musical Intifada’, is his impressive following on Facebook. His Doc Jazz fan page there now boasts an impressive 31,000 members, a sign that his work is steadily increasing in scope and exposure. Having a quick and superficial listen to his music may not immediately explain why, and the reason for that is its almost incredible variety of musical styles. If you have listened to one of Doc Jazz’s songs, don’t assume that you already know the drill. The sound and style is not exactly what you will find in the entertainment world’s Top 40, so if that is what you are looking for, you may end up with a prejudiced judgment. This is a more sophisticated type of music that requires you to take time and really listen, but if you do, you are very likely to be captivated. You will encounter hip-hop, rock, funky jazz-pop, piano ballads, Palestinian folkloric music and modern Arabic music, and this description still doesn’t cover everything you can find in his impressive repertoire. Indeed, that sums it up quite beautifully. Imagine if this was all we had to say about Dr. Tariq Shadid, wouldn’t that already be quite something? Well, to be truthful, it doesn’t end here. Tariq Shadid has been writing for the Palestine Chronicle for well over a decade, and many of his writings can be found there, as well as on his website. 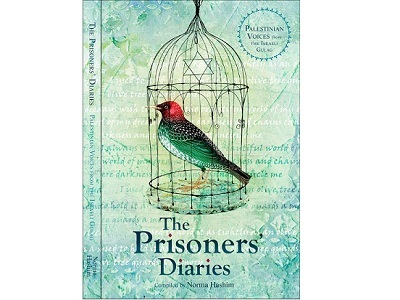 A selection of his writings from before 2007 has also been published into a paperback called ‘Understanding Palestine’, which is available on Amazon. His articles mostly have one thing in common: they call for Palestinian self-determination, and they mobilize against normalization, and against racism. This is probably why his pieces are read and shared so widely: even though they may refer to current events happening at the time they were written, they are almost invariably characterized by timelessness, and contain truths that are applicable to the entire history of the Palestinian struggle. Besides being an excellent musician and writer, this incredible allrounder also has a very artistic hand at drawing and painting. He painted the cover of his album ‘Front Door Key’, of a small Palestinian girl holding a key that symbolizes the return of Palestinian refugees to their homes, and recently drew a portrait of Samer Issawi that can now be found on websites and social media all over the world. It’s hard to imagine that someone who is not only a full-time surgeon, but even the Head of Department of Surgery at his hospital, is able to do all these things and excel at all of them. However, if you realize that he is a Palestinian, you will undoubtedly conclude that it is that legendary Palestinian drive and dedication that forms this basis of excellence. Those who are willing to look around, will never fail to see the amazing talents that the Palestinian people – both inside of Palestine and in the diaspora – are able to present to the world. No one lives forever, but it has become obvious that as long as Tariq Shadid can breathe, sing, write and operate, he will not change who he is, and what he stands for. In this ever-changing and evolving world, this one-man production machine of Palestinian activism will remain a force to be reckoned with. The world emphasizes and celebrates the talents of Jews – even when it comes to the Palestinian cause, as if there aren’t any Palestinians available to represent themselves – but this is only because they are not willing to see the amazingly talented icons of the Palestinian people. They are there, they are impressive, and they will be seen and overwhelm the world. – Sahar Mansour, originally from Jenin in Palestine, was born and raised in Belgium. She is studying English Literature at the University of Ghent. She contributed this article to PalestineChronicle.com.